The saying goes that if you want to stay friends with people, you shouldn’t talk about religion or politics. In the 21st century, perhaps another subject should be added to the list of taboo subjects in polite company: genomics. 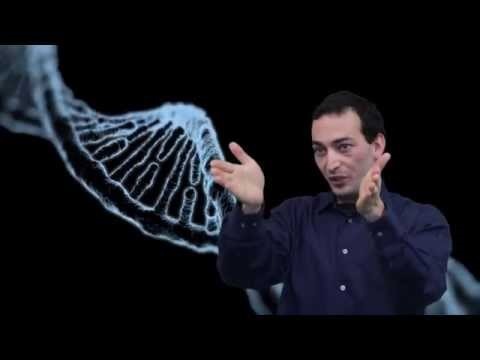 One genomics debate concerns the origins of Ashkenazi Jews. 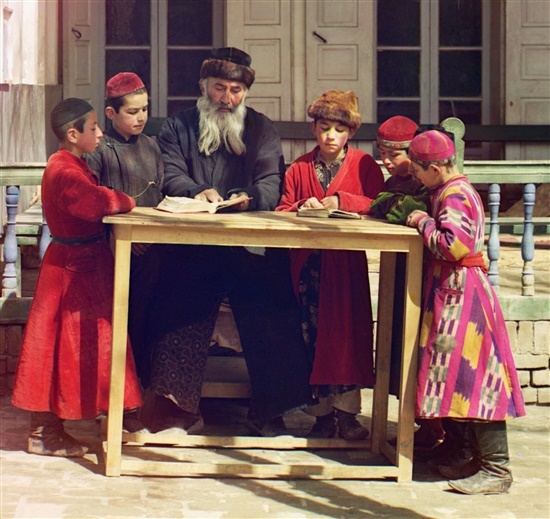 The image is an early colour photo of Jewish children in the Russian empire in the early 20th century. Photo: Sergei Mikhailovich Prokudin-Gorskii Collection. The study of human genomes around the world has led to medical breakthroughs in the diagnosis and treatment of various conditions, having shown that some health problems are more prevalent in certain populations and how they can best be prevented and treated. But genome studies also reveal a lot about the history of different peoples, where they came from and to whom they are related. Far from being welcomed as a step on the path to potential cures for deadly diseases, genome studies are often met with hostility, regardless of where they are being carried out. When leading geneticists from around the world shared their experiences at the Genome Russia conference held at the Skolkovo Innovation Centre on Thursday, many of them talked of encountering hostility and suspicion from the general public. One of the most high-profile fallouts from genome research in recent years centred around Dr. Eran Elhaik, an Israeli geneticist who elicited outrage in 2013 when he published a paper offering genetic evidence to support an earlier but – until then – little credited theory that Ashkenazi Jews are descended from ancient Iranians who settled in the Caucasus, rather than ancient Judaeans, as is commonly believed. “In 2013, I published this paper, ‘The Missing Link of Jewish European Ancestry,’ that predicted that Jews are from the Khazar empire, and the paper got a lot of response, a lot of criticism of course, but it is still one of the most read papers, even three years after that,” Elhaik, a lecturer at the U.K.’s University of Sheffield, told the conference. “We didn’t want to go that way – all we wanted to show is that GPS is working,” he said. GPS, or Geographic Population Structure, is a system developed by Elhaik together with the prominent Russian scientist Dr. Tatiana Tatarinova, whose bioinformatics lab develops algorithms for analysing genomics, population genetics and ancient DNA data. Elhaik wants to use the GPS technology for personalised medicine, to predict the different effects of drugs. “We give coordinates, we don’t put tags on people that may insult them or not, no one is being insulted by geographic coordinates,” he told the conference. Elhaik explaining in a video how his GPS tool for establishing people's genetic origins works. Photo: University of Sheffield. But the paper was not welcomed by everyone when published, and prompted a wave of articles attempting to rebuff the findings. Elhaik may have attracted the most public criticism, but this is far from an isolated case. Dr. Svetlana Borinskaya of the Institute of General Genetics, part of the Russian Academy of Sciences, drew attention at the conference to the problem of pseudoscience “using fashionable words like ‘genome’,” as well as that of “scientific patriotism,” in which researchers insist that Slavs were the very first people to inhabit Russian lands. “In Russia, as in other countries, the level of knowledge about genetics is not high,” Borinskaya told the conference, citing the reaction of a member of the public who said it would be better to open an old people’s home than another science institute, as well as top-level Russian officials making misguided comments. Borinskaya said the words “ethnicity” and “nationality” were apt to spark controversy during the course of research and fieldwork in Russia, which is home to nearly 200 ethnicities, according to nationwide censuses. “Participants who volunteer their [DNA] samples often have a vested interest in the results,” she said. “In one expedition, local leaders who apparently decided to get some PR out of a trending subject, said that geneticists had forced people from one ethnic group to identify as members of another – which bore no relation to reality,” she explained, adding that the geneticists had been forced to write explanatory letters after the reports reached the level of the presidential administration. Tatarinova, who co-chaired the Genome Russia conference, outlined some of the practical difficulties that geneticists encounter during the course of their research, citing the example of an expedition to Siberia to collect samples from the Ket people, a very small population group living on the Yenisei River who are believed to be genetically related to Native Americans. “When collecting samples … we talked to local nurses a lot,” Tatarinova explained. “Often a person would say they were a Ket and were born in a certain year, and the nurse would say: ‘Petrovich! That’s not right. You were born in a different year in a different village.’ That checking really helped us,” she said. Often, people may simply not know their true ancestry, though they believe they do, says Tatarinova, a professor at the University of Southern California. “A person may have nothing in common with the ethnic group with which they identify,” she said. Following the success of the GPS tool she developed with Elhaik, Tatarinova developed reAdmix, a bioinformatics systems for establishing the roots of people with mixed heritage. “GPS works very well for people who don’t have a mixed heritage, but people are often a mixture [of different gene pools], and often they don’t even know themselves what a mixture they are,” she told the conference, explaining why reAdmix was created. The system showed that there were people who consider themselves Kets, but who in fact have DNA that is very similar to other ethnic peoples of Siberia, she said. There are things that people don’t know about, such as secret adoptions, Tatarinova explains. “People don’t know they’re related: we find people who in all likelihood are half-brother and sister, but didn’t even know. We encountered that quite frequently in all the population groups that we studied,” she added. Speaking at the Newtrition conference devoted to personalised health and nutrition the next day, Tatarinova also touched on the subject of genome research ethics and the sensitivities the subject can aggravate. Tatarinova speaking at the Genome Russia conference. Photo: Sk.ru. She cited the example of geneticists who dug up a Native American skeleton and then published an article about their findings, without consulting the tribe who had allowed them to dig up the skeleton. Their article stated that the DNA data showed that the migration route taken by the tribe was a different one to that which the tribe believed in. The Native Americans were offended and refused to let them dig up any more remains, and as a result, are now reluctant to give DNA samples for genome studies. Tatarinova also gave the more recent example – and one closer to home – of the prominent Russian geneticist Yevgeny Rogaev’s studies of the remains of the murdered Romanovs, Russia’s imperial family. The Orthodox Church has contested the findings and has prevented the burial of the last two children to be identified: Tsarevich Alexei and his sister, the Grand Duchess Maria. “It’s a very emotional thing, and the more time goes on, the more emotional people get,” she said. So what is it about genome research that elicits such emotional responses in people around the world? “The emotion related to the human genome is that it is, well, human,” Tatarinova told Sk.ru following last week’s conferences. “We do not see it, but we have a copy of this genome in every cell of our body. And this invisible but powerful thing makes us who we are, sets limitations and pre-determines illnesses. “It is very human to fear such ghostly power, which is not yet harnessed. The potential to harness it is even scarier to many people – they fear that there will be no secrets, no privacy (the essence of these fears is nicely shown in the Gattaca movie [in which people are ranked as genetically inferior and superior] made almost 20 years ago),” says Tatarinova. “Also, genetics has the power to rewrite family and country histories, uncover infidelities, and challenge ownership. It is a huge thing that humans did not have to deal with before, and it is not going to go away,” she said. Yuri Nikolsky, the science director of Skolkovo’s biomed cluster who co-chaired the Genome Russia conference together with Tatarinova, agreed. “People have very emotional reactions to this topic,” he told Sk.ru. “I remember in the ’90s, there was testing for European Russians: they could find out what percentage of Varangian [the Vikings who ruled medieval Kievan Rus] was in them and what percentage was Mongol. Everyone wanted to be maximum Varangian and minimum Mongol,” said Nikolsky. “It’s quite a profound thing, where you came from, what your roots are … who has common ancestors, and who does not,” he added. Elhaik, whose findings on the roots of Ashkenazi Jews challenged the accepted version of events, says the quest for knowledge may sometimes lead to revelations that are not welcomed by everyone. “Like archeology, linguistics, and history, the human genome has an enormous potential to illuminate our past, but unlike the other disciplines, which have been debated and perfected for centuries, this tool, while incredibly powerful, is still in its infancy and analyses should be done with caution to produce meaningful results,” he told Sk.ru.